Day after day Bigg Boss season 12 is introducing a new level of excitement. Last week, Shivashish was eliminated from the show. With the start of a new week, new twists were introduced. A new captaincy task was held which unveiled the true faces of a few contestants. 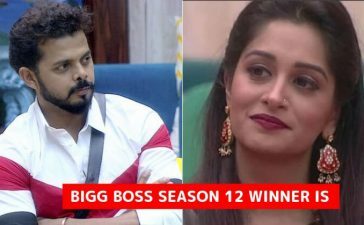 Let us take a look at what will happen on Day 66 of Bigg Boss 12. The new captaincy task is utterly interesting. The contestants are divided into teams and they have to retrieve a musical instrument from a giant snake. The instrument is placed inside a snake-like architecture and the teams had to retrieve it. In the last episode, we saw team blue performed the task. Moreover, we saw that Mohit Suchanti left the team blue and decided to play for team red. In the latest promos of Bigg Boss 12, Mohit Suchanti, Deepak Thakur, Megha Dhade and Jasleen Matharu were seen performing the task. Mohit and the rest of the contestants were working on the musical instrument which eventually got broken. The instrument stopped functioning and Mohit blamed the rest of the contestants for this. The emotions of the contestants were detonated when Mohit commented, “Bajaane Laayak To Bas Megha Hi Bachi Hai”. Undoubtedly, these are not the words that are often used to qualify a woman. Megha lashed out a Mohit while the rest of the contestants denounced the words of Suruchi. Apart from this, Mohit was also seen making fun of the name of Sreesanth. Retaining his bad boy like personality inside the house, Sreesanth rushed to punish Mohit for his words. Sreesanth was also seen removing his mic which means he has broken the rules once again. What will happen next? Stay tuned for the upcoming drama. Also, check what Bharti Singh did with Salman Khan during a Weekend Ka Vaar episode.